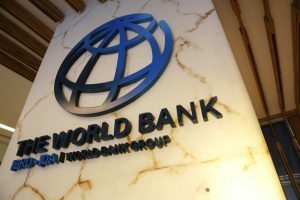 Worried by huge figures of housing deficit facing the country, the World Bank and International Development Association, IDA, have set aside $300 million to fast-track provision of accommodation for the teeming Nigerian population. The fund, which is to be channelled towards pursuing aggressive development of housing sector in Nigeria, is being facilitated by the Nigeria Housing Finance Programme, NHFP. NHFP is a programme being implemented by the Central Bank of Nigeria, CBN, with the support of a loan the World Bank and International Development Association, IDA, are introducing to increase access to housing finance for home ownership in the country. Besides, stakeholders in the Nigeria Housing Finance Programme, NHFP, have called on legislature and executive to quickly pass into law 11 amendment bills before the National Assembly in order to ease challenges affecting easy access to land titles and documentation. Speaking at a media workshop to flag off “My Own Home” campaign, yesterday, in Abuja, Director and the Head of the NHFP, Adedeji Jones Adesomoye, assured that most of the housing challenges facing the country would be addressed through the scheme. He disclosed that the CBN was the institution managing the project, adding that the CBN was also bearing the exchange risk because the money was given to these people in naira, which would be paid back to the World Bank in dollars. In his paper, Executive Secretary, Mortgage Banking Association of Nigeria, MBAN, Kayode Omotosho, called for quick passage of the 11 amendment bills into law. Unveiling the scheme on the occasion, CBN Governor, Mr Godwin Emefiele, said the purpose of the programme was to de-risk all issues surrounding proper financing of the sector.